With thousands of SaaS businesses using all-manner of different marketing strategies, how exactly should you go about developing your own marketing plan? The exact formula for success is unique to each business, but there are a handful of key concepts that lay the foundation for successful SaaS marketing. Today, I'm looking at 10 crucial components of a successful SaaS marketing strategy - from buyer persona development through to marketing automation. Every SaaS marketing strategy needs to start in the same place: understanding the buyer. There's no point developing a solution in the hope it'll appeal to someone: you need to learn about the problem before building the product to remedy it. By asking buyers directly about their trials and tribulations, you gain the authority to say "we know you have this problem, and here's the painless, effective way we can help you solve it." Understand the problem your solution needs to solve, and the best way to solve it. Scope out the competition your solution needs to outperform. Create a perfect SaaS pricing strategy. ...start with your customer; after all, they’re the ones paying you! 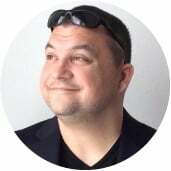 Inbound Marketing uses your understanding of the buyer to create helpful, problem-solving content: attracting the right people to your business, and immediately adding value. Those visitors are then converted into leads, using call-to-actions and sign-up forms promoting relevant gated resources. Crucially, Inbound Marketing builds a foundation for growth: a stable base of visitors, leads and customers that grows in a predictable way. Inbound Marketing functions as the scalable cornerstone of your SaaS marketing strategy - but it takes time to build to its full potential. Paid Advertising can be used as a powerful growth accelerant, deployed alongside Inbound Marketing. By promoting gated resources and relevant blog content, through channels like LinkedIn, AdWords and Outbrain, you can generate targeted leads in a rapid, controlled way. One important caveat: it's crucial to keep a handle on two key metrics: Customer Acqusition Cost and Customer Lifetime Value. Paid advertising is a numbers game, and for most growing SaaS businesses, it's imperative to keep the cost of acquiring a new customer lower than the lifetime value of that customer. When most visitors find your website, they're in research mode. Hitting them with a sales pitch would be premature (and even alienating), so it's important to encourage these leads towards sales-qualification before taking any further action. That's where lead nurturing (and in particular, email marketing) comes into play: allowing you to set up automated workflows that provide personalised advice, and help nudge prospects further through the sales funnel. Customer referrals are a powerful source of growth, allowing you to increase your customer base by getting your existing customers to do the hard work for you, recommending your solution to friends and colleagues. With a smart strategy and a bit of luck, it's even possible to create viral growth. The best way to maximise your referral growth is through a defined Customer Success strategy: a documented process that helps customers consistently achieve their goals. Co-marketing is a collaborative approach to marketing, where you team-up with another company, pool resources and create joint marketing campaigns. Sharing resources often makes it easier (and more cost-effective) to create and promote a big campaign, allowing you to reach a ton of people and share the leads generated. Target the same audience, like finance departments in SMBs, or CMOs in enterprise security organisations. 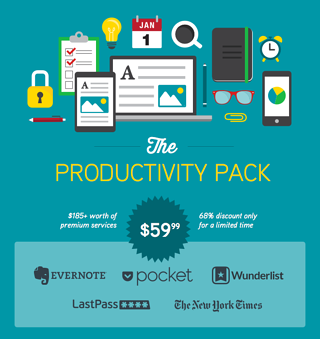 Offer non-competing products, like those offered by SaaS company Pocket in their Ultimate Productivity Bundle. Learn more about the best practices of SaaS co-marketing: How to Choose the Right SaaS Co-Marketing Partner. There's a science to lead generation, and conversion rate optimisation allows you to apply the principle of experimentation to improve your performance over time. By creating a dashboard of key SaaS metrics, and using regular A/B testing, it becomes possible to use real-world performance data to optimise website copy, email subject lines, and even your solution's pricing strategy. Automated email sequences can be used to nurture leads. Personalisation tools make it easy to add a personal touch to all of your marketing communication. Behaviour-based outreach identifies the perfect time to reach-out and connect with leads. Smart contact forms make progressive profiling a breeze - allowing you to gain more lead insight with every interaction. Seamless integration with Customer Relationship Management (CRM) tools make it easy to attribute customers to specific marketing and sales actions. Though we're talking about SaaS marketing strategy, it's important to recognise that marketing doesn't exist in a vacuum. Our end goal is to generate customers, and both marketing and sales have a role to play. With that in mind, it's important to use a complementary sales methodology (like Inbound Sales) to create a seamless transition from website visitor, to lead, to sales-qualified lead, to customer. In SaaS, it isn't enough to grow: you need to grow quickly, and reach scale before your competitors. That means once you've seen the first signs of Product/Market Fit, and you've started to gain traction, your single biggest focus needs to be marketing. You need to hit the accelerator, and channel your resources into growth. Thankfully, armed with all of the strategies compiled here, you'll be able to use that investment in the smartest possible way: attracting the right buyers to your business, measuring your results, and improving the efficacy of your marketing at every step of the way.